Details: The project is coming up at Madhyamgram, Kolkata North spread across 6 acre of land. 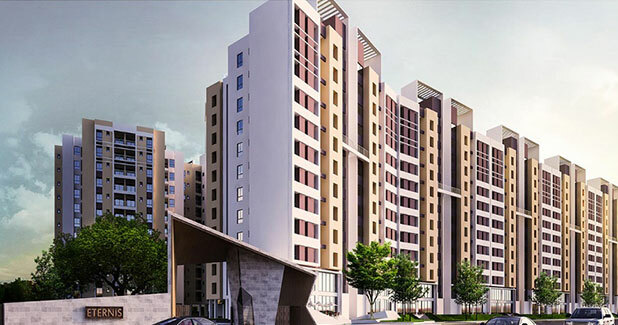 The project offers 13 towers with G+11 floors, having 824 units of 2, 3, and 4 BHK apartments. The amenities include jacuzzi, senior citizen sitout, banquet hall, swimming pool, yoga/meditation area, cafeteria, shopping centre, badminton court, jogging track, landscape garden, etc.